Steven William Moffat OBE is a Scottish television writer and producer, best known for his work as showrunner, writer and executive producer of British television series Doctor Who and Sherlock. Moffat's first television work was the teen drama series Press Gang. Matthew Richard Lucas (born 5 March 1974) is an English comedian, screenwriter, actor and singer, best known for his work with David Walliams in the television show Little Britain, as well as for his portrayals of the scorekeeping baby Georgie Dawes in the comedy panel game Shooting Stars, both Tweedle Dum and Tweedle Dee in Alice in Wonderland and its sequel, Alice Through the Looking Glass, and Nardole in the tenth series of Doctor Who. Brian Minchin was executive producer on Doctor Who from the 2013 Christmas Special The Time of the Doctor to the 2017 Christmas Special Twice Upon a Time, and was an executive producer on Class. Prior to this, he had held a variety of positions on all the other BBC Wales-produced shows in the DWU stable. He was a script editor for Doctor Who and Torchwood. 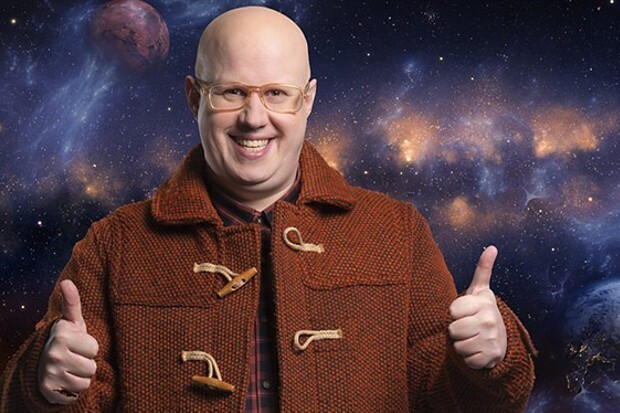 He was also a producer for The Sarah Jane Adventures and producer of the UK side of Torchwood: Miracle Day. Bridie was a cast member of the new Australian version of Whose Line Is It Anyway? and is a regular on ABC’s Whovians. Bridie made her Melbourne International Comedy Festival debut with Player in 2017, which also enjoyed a hugely successful season at the Sydney Comedy Festival. She recently appeared on True Story with Hamish & Andy on the Nine Network, and is currently one of the four reporters on the ABC Comedy show Tonightly With Tom Ballard. Tegan Higginbotham is a multi-talented comedian, actor and writer. She’s appeared in TV mini-series Molly about the life of Molly Meldrum, in films Oddball and Holding the Man, and is a regular member of Foxtel’s Whose Line Is It Anyway? 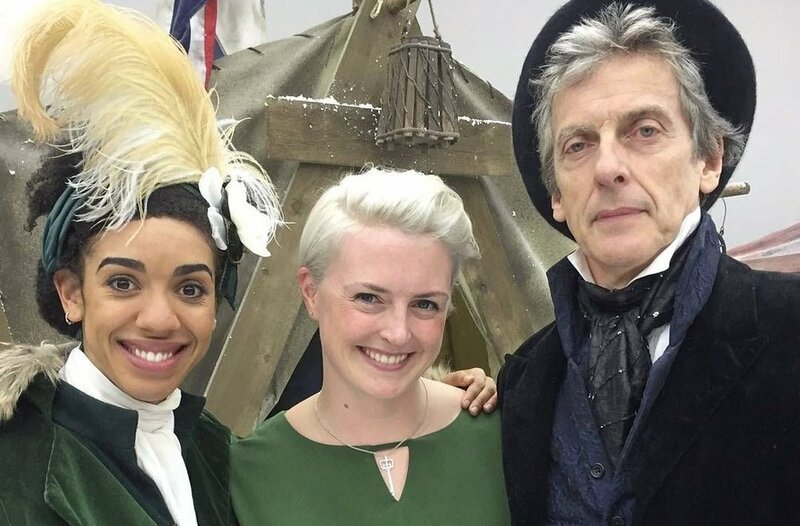 She’s on ABC’S Whovians, and is a writer for The Age Sports. Sarah Dollard is an Australian television screenwriter, living and working in the United Kingdom. She made her start in writing for television on the long-running Australian soap opera Neighbours, before moving to the UK in 2008. She created and wrote the Welsh romantic comedy series Cara Fi (Love Me), which debuted on S4C in 2014. Rove McManus is an Australian triple Gold Logie award-winning television presenter, producer, comedian and media personality. He was the host of the comedy talk show Rove LA and was also the host of the eponymous variety show Rove. He hosts ABC’s Whovians. William Pugh is a game designer best known for his work on The Stanley Parable. In 2015, he opened an indie game development studio, Crows Crows Crows. The studio's first game was Dr. Langeskov, The Tiger, and The Terribly Cursed Emerald: A Whirlwind Heist, a free title released in December 2015. The meta-fictional game, in which the player explores and interacts with the backstage elements of a video game demonstration while waiting to play it, includes voice work from Justin Roiland of Rick and Morty and Simon Amstell. 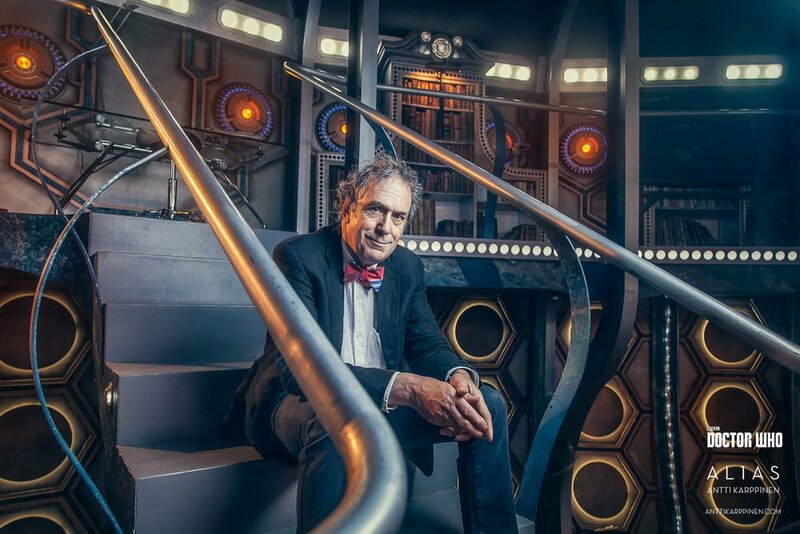 Michael Pickwoad (who died 27 August 2018) was a production designer for Doctor Who from the 2010 Christmas Special A Christmas Carol to the 2017 Christmas Special Twice Upon a Time. He was also a production designer for Class. Osher Günsberg is an Australian television and radio presenter and journalist who is best known as the host of the reality TV series The Bachelor Australia, The Bachelorette Australia and Bachelor in Paradise Australia. He is also known for his hosting roles on Channel [V], Australian Idol, Live to Dance on CBS and radio shows including Take 40 Australia and The Hot Hits.